The TaylorMade Burner Rescue features a stainless steel head that is 7% larger than the Rescue Dual in volume for added forgiveness and confidence. Its shallow face and deep center of gravity make it easy to hit high and land soft from most any lie. 13% larger footprint than the Rescue Dual for maximum playability from most lies. Deep center of gravity and high MOI, creating forgiveness for long, straight results, even on off-center hits. Review by Lynn, 2 years ago. Review by Nc1mike, 1 year ago. 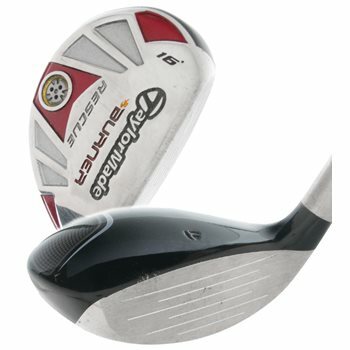 I have the same Taylor Made BR Hybrid #4. The Shaft is Aldilia NV Hybrid 85-S. I assume my 4 Club is a stiff shaft? For the model you have for sale, what is the difference in the Aldila Shaft? What is meant by the 95? You will need to click on the box options to see what is available. It could be available in right or left-hand, stiff or regular, for example. It simply depends on availability. The number usually refers to the approximate weight of the shaft so that specific shaft will weigh approximately 95 grams.